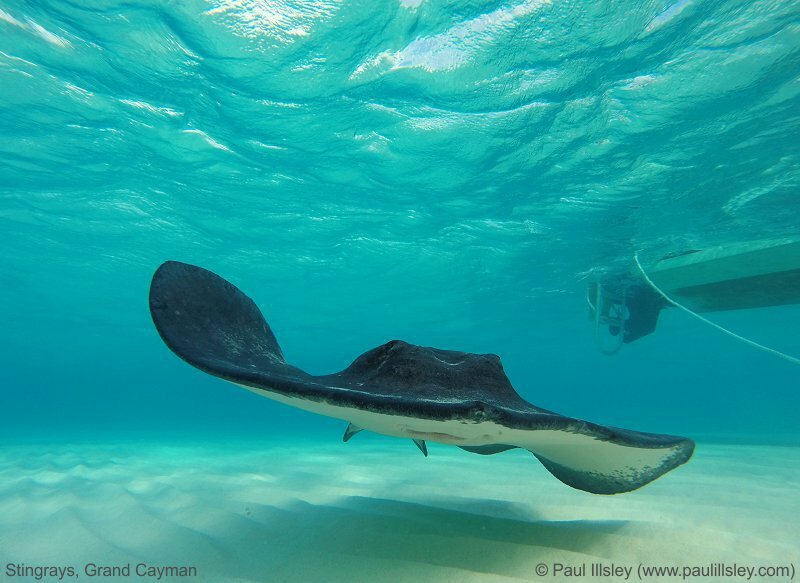 Stingray City is located 3.5 km (2.2 mi) west of Rum Point in the North Sound of Grand Cayman (19.375753°N, -81.304621°W). 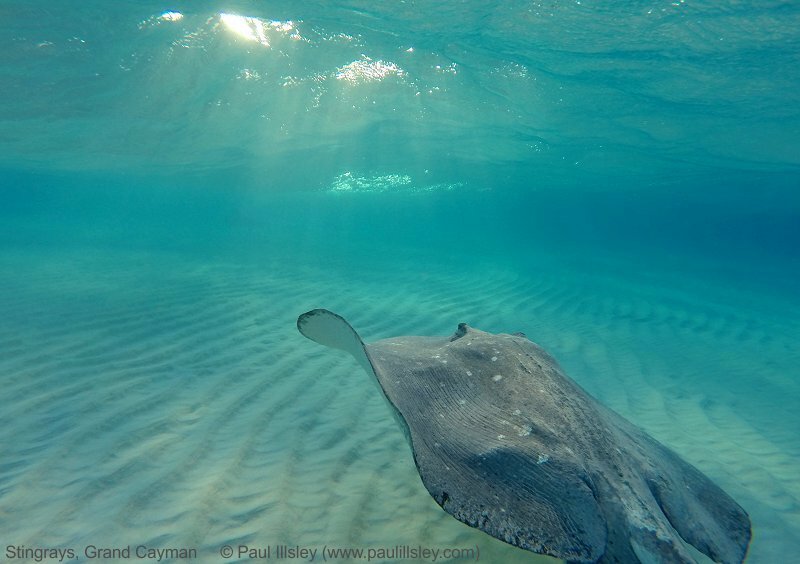 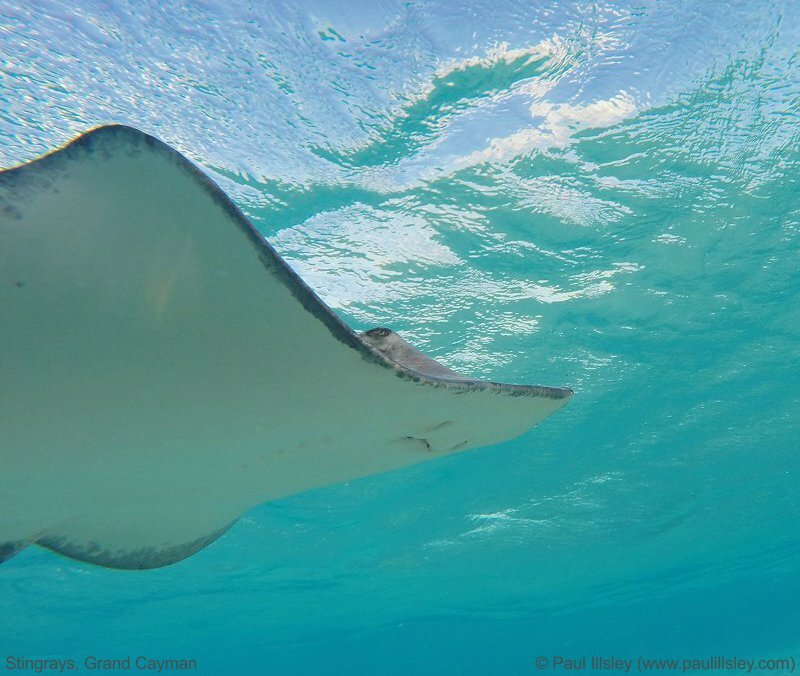 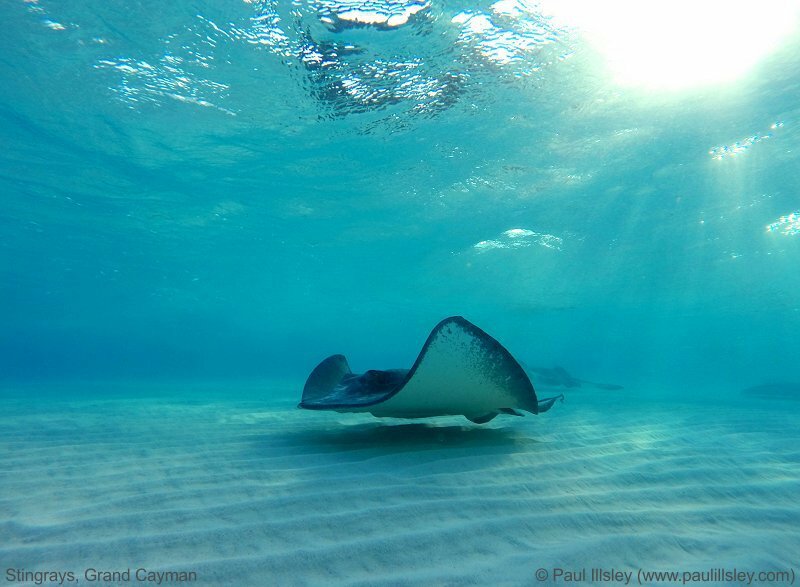 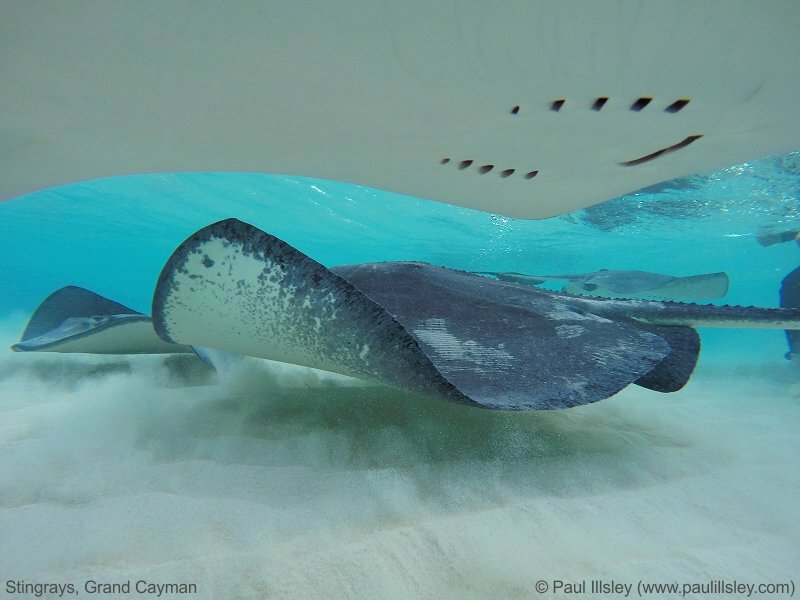 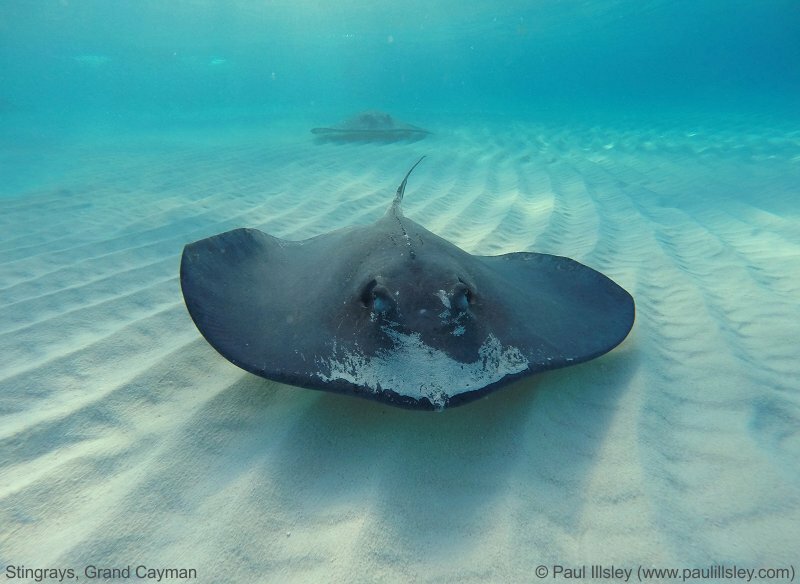 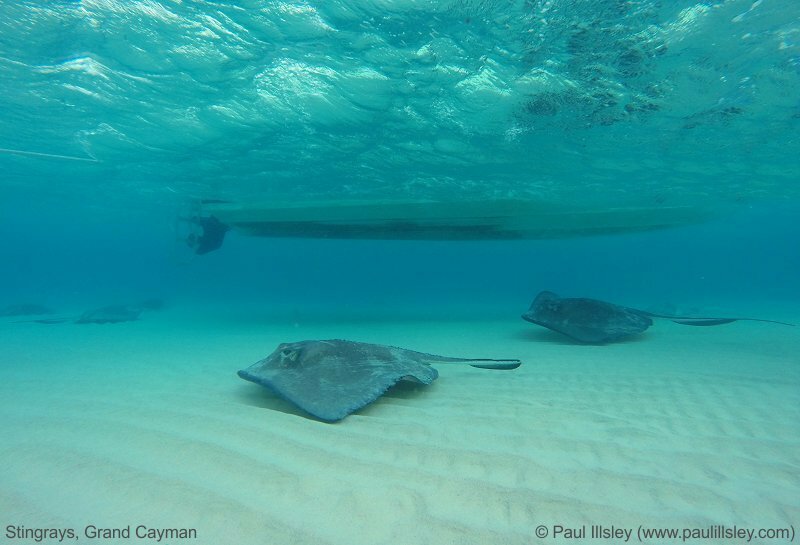 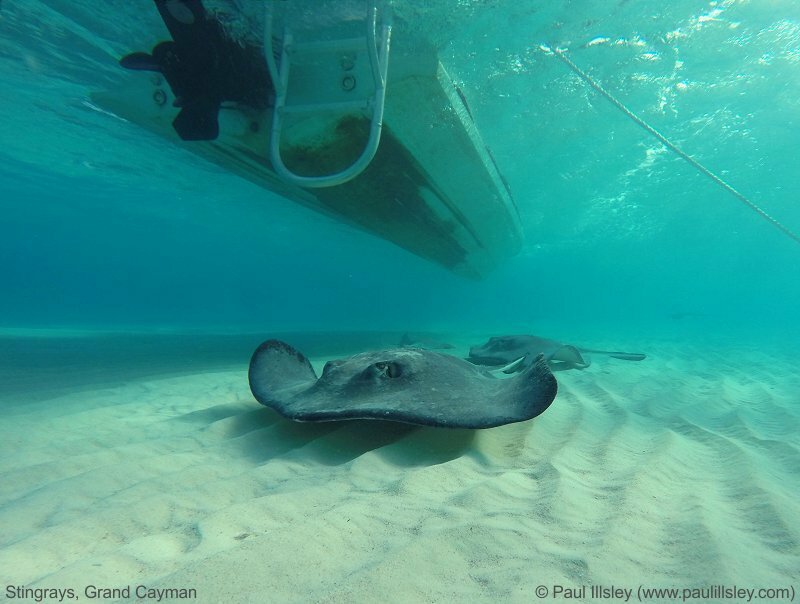 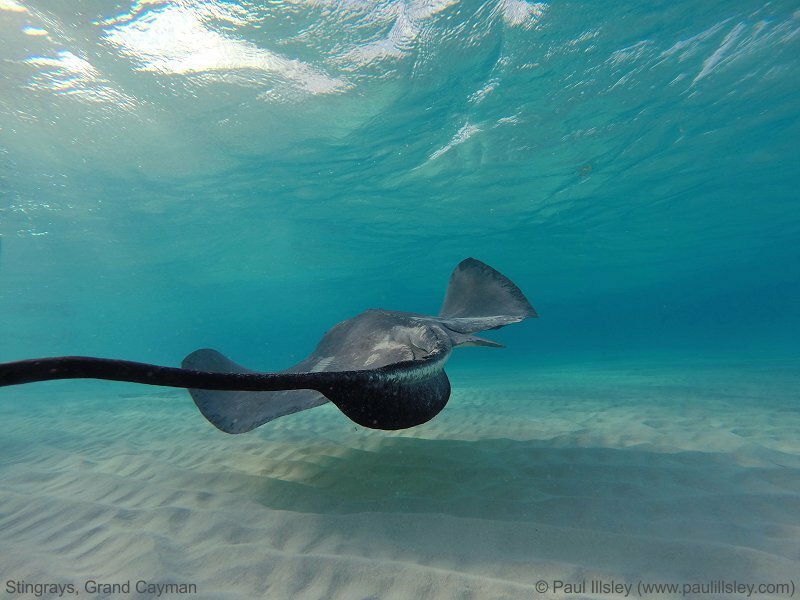 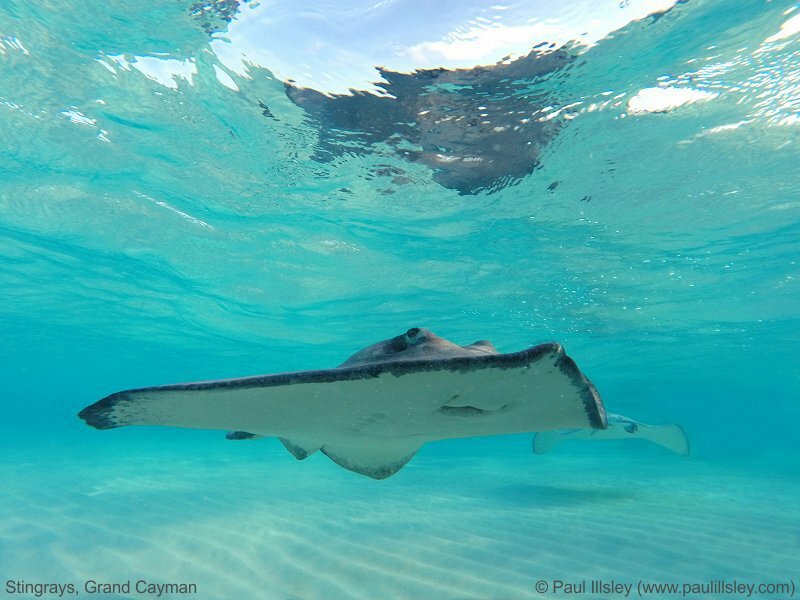 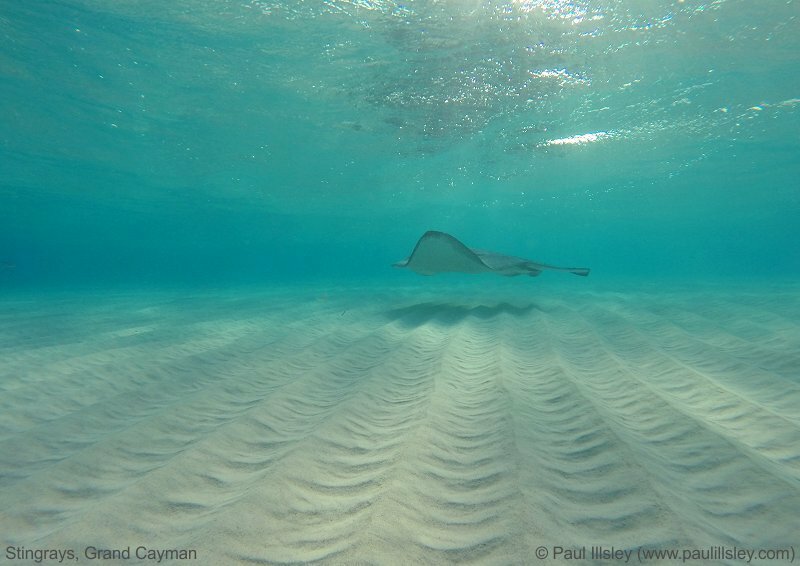 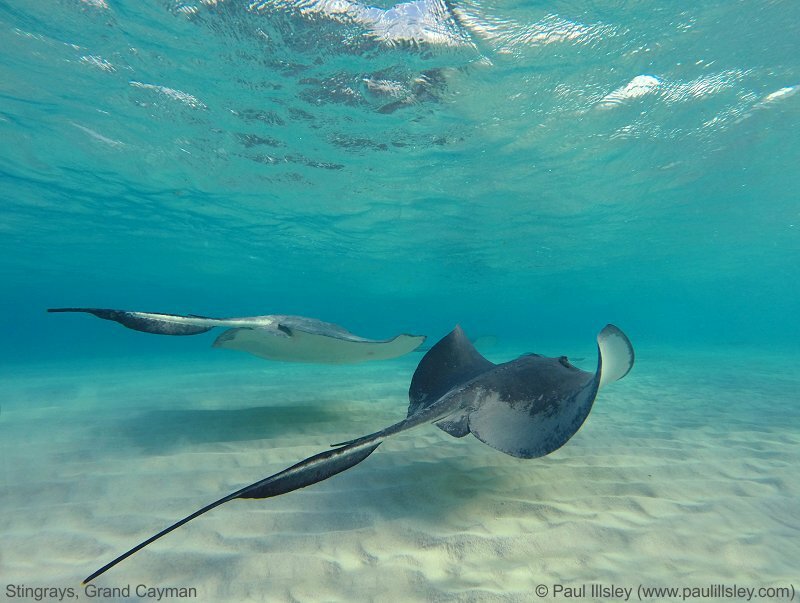 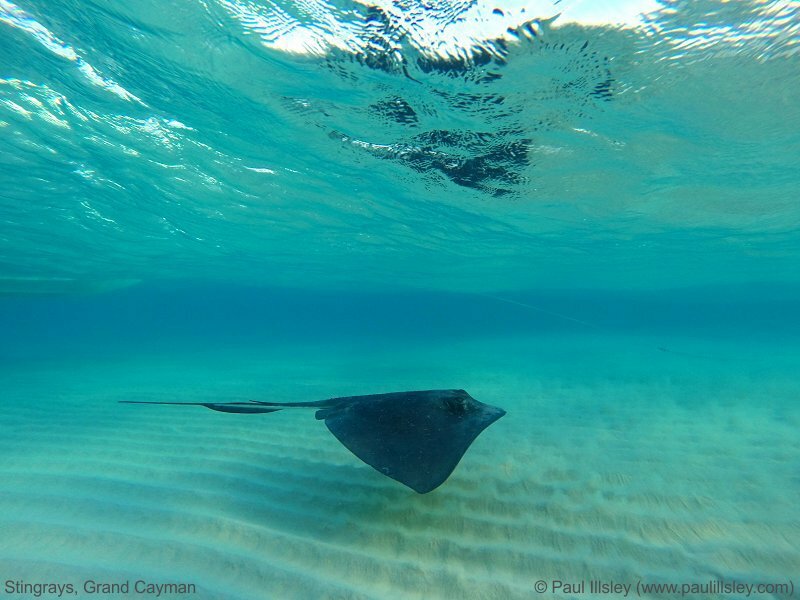 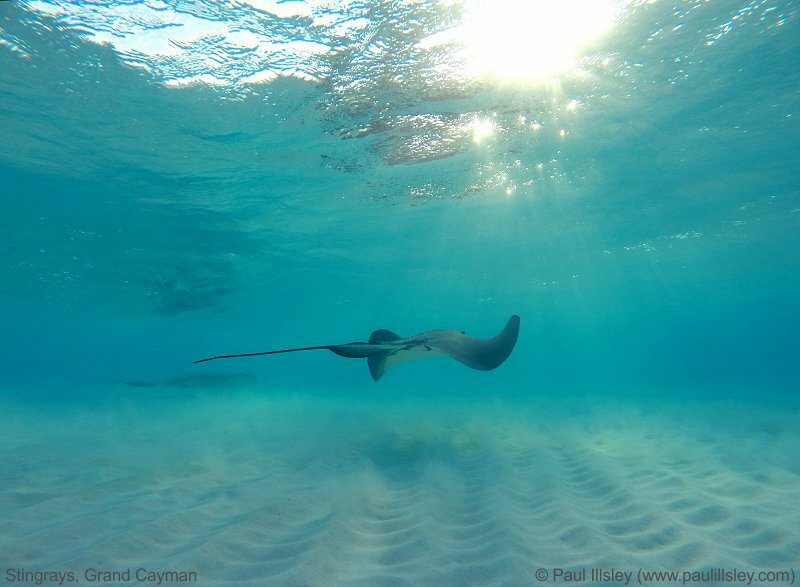 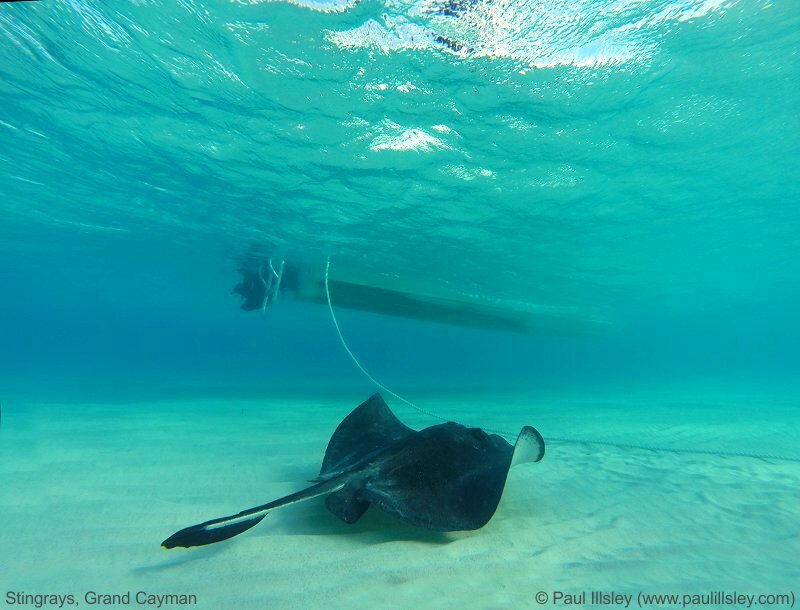 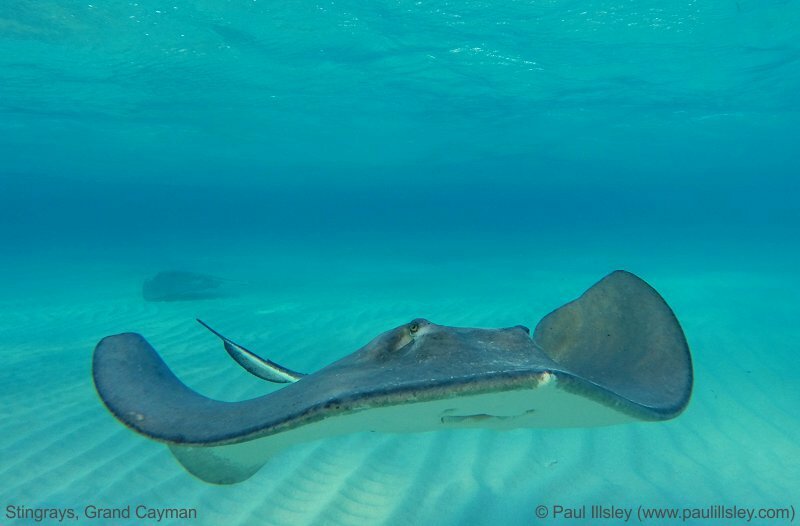 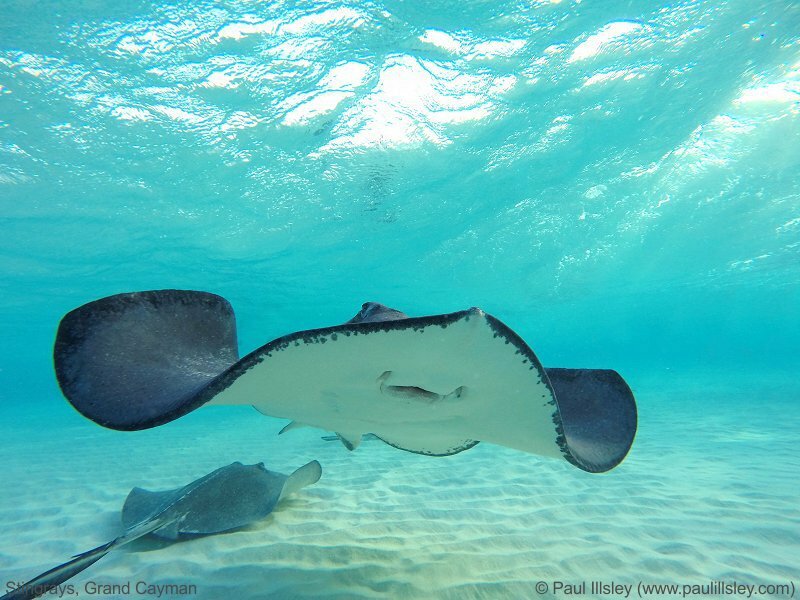 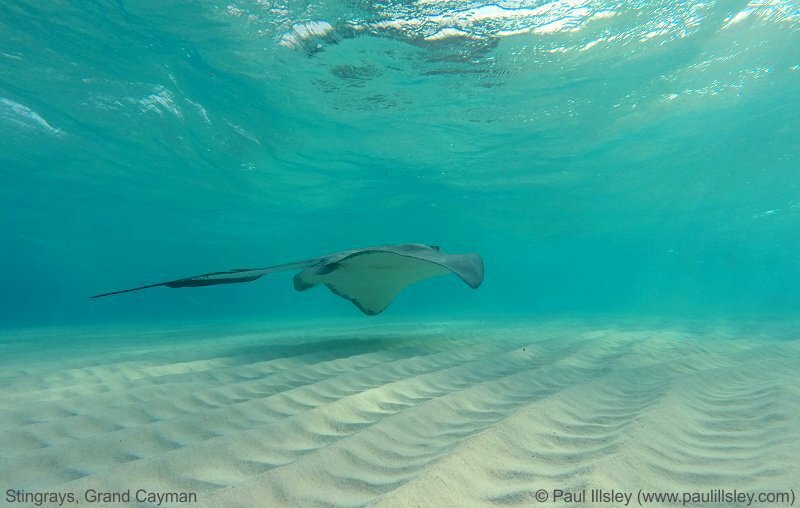 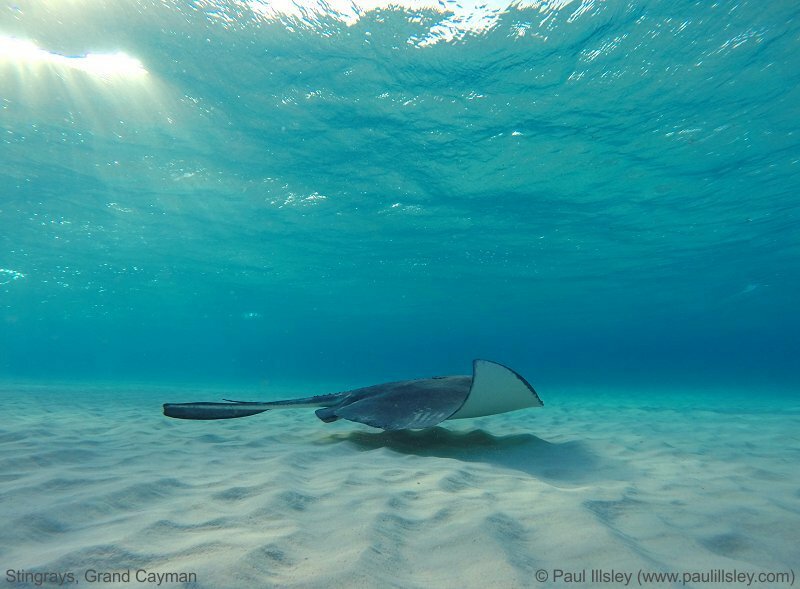 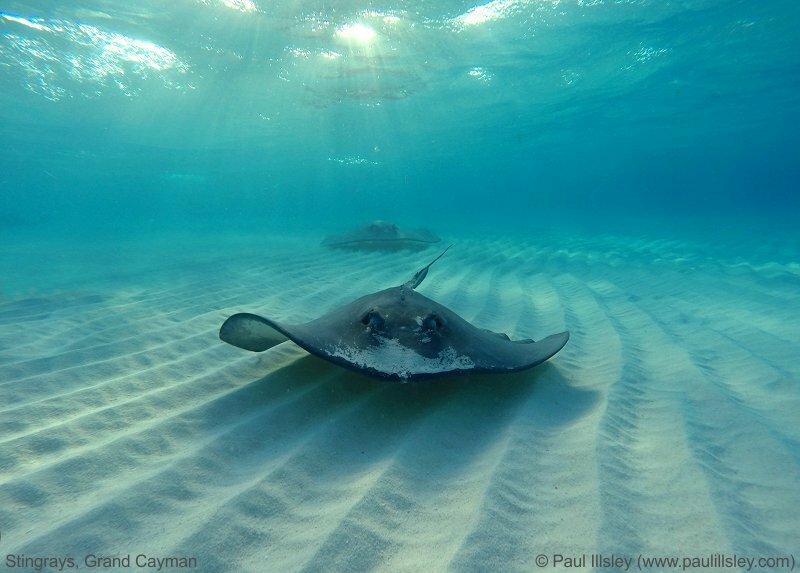 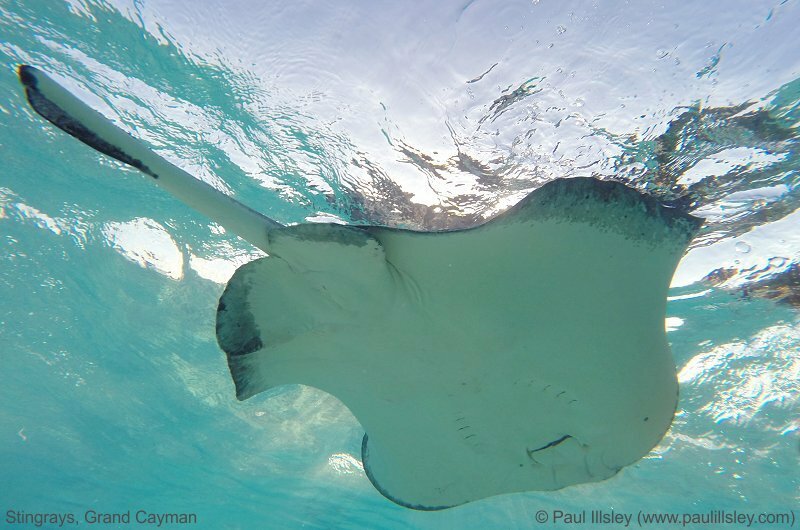 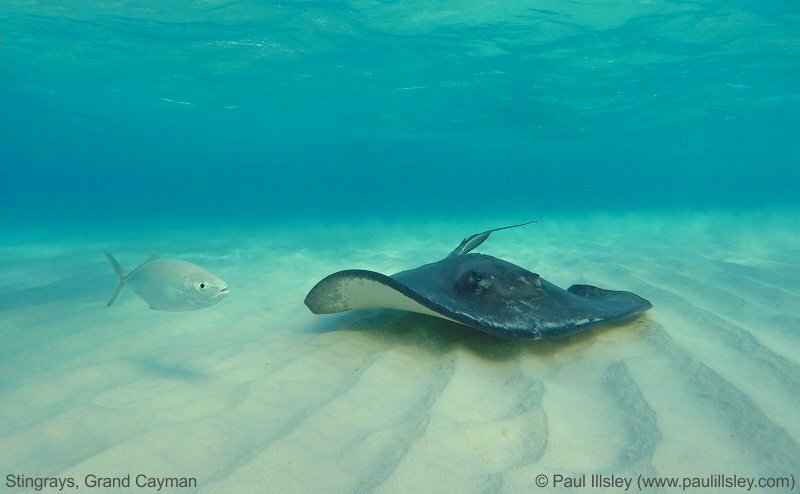 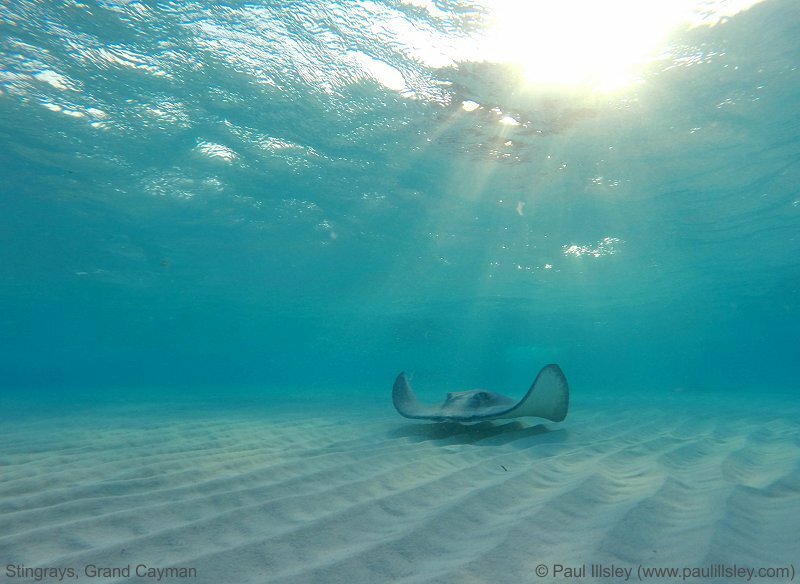 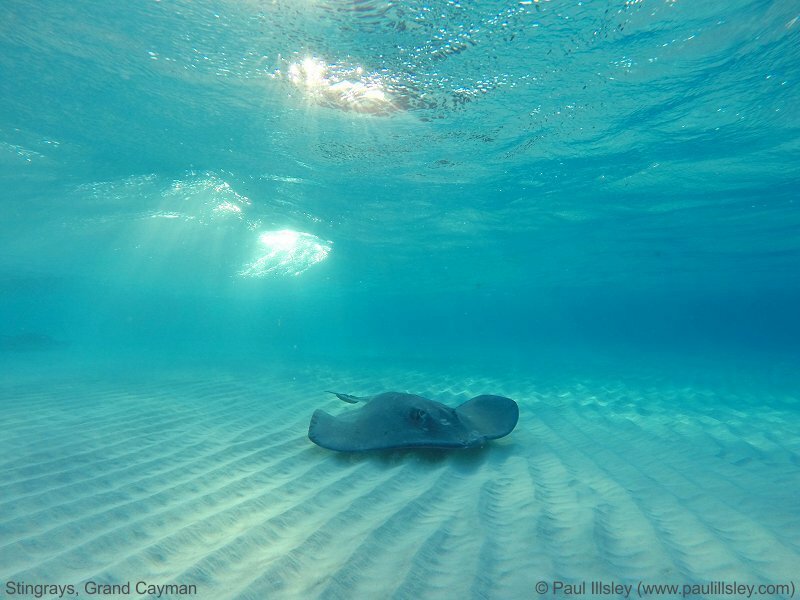 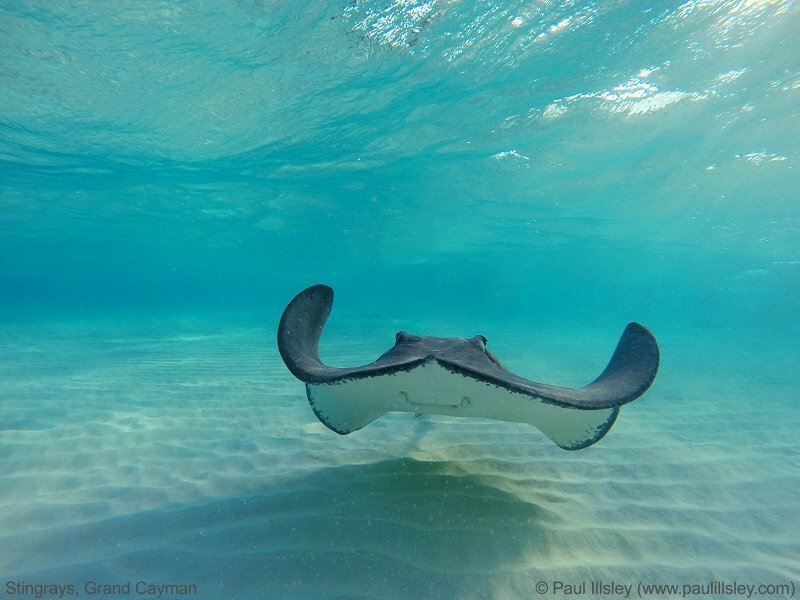 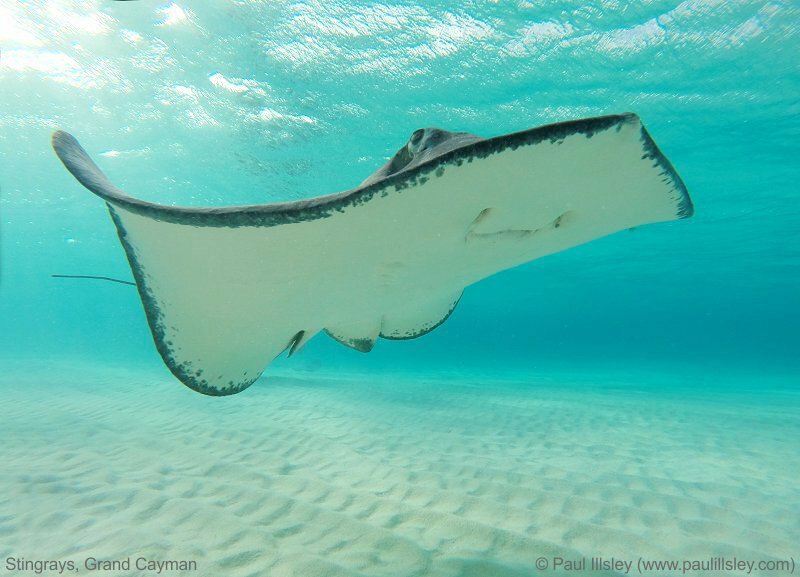 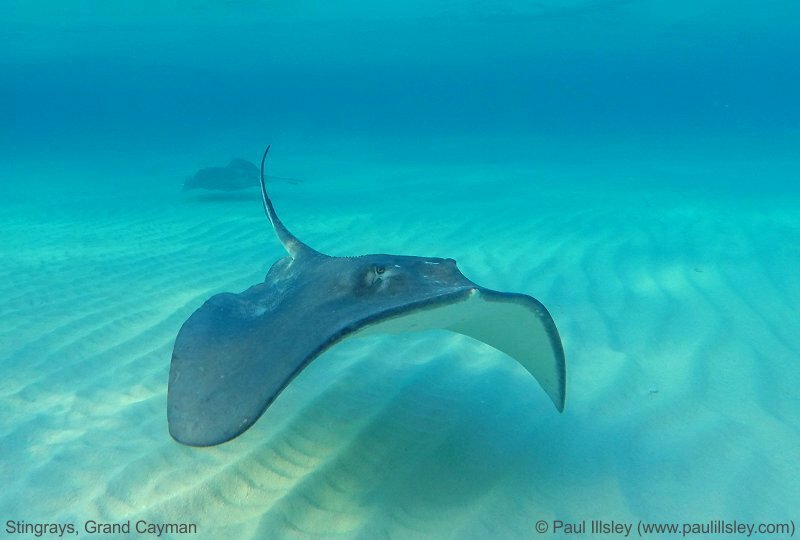 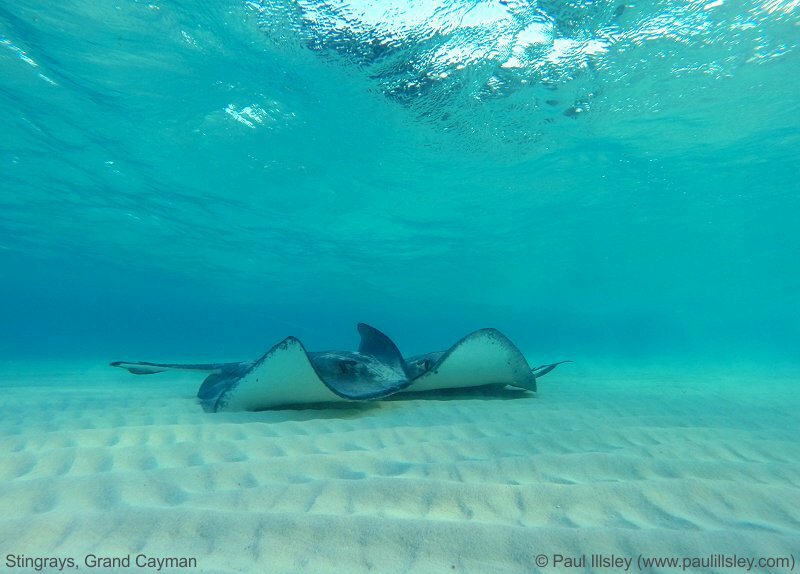 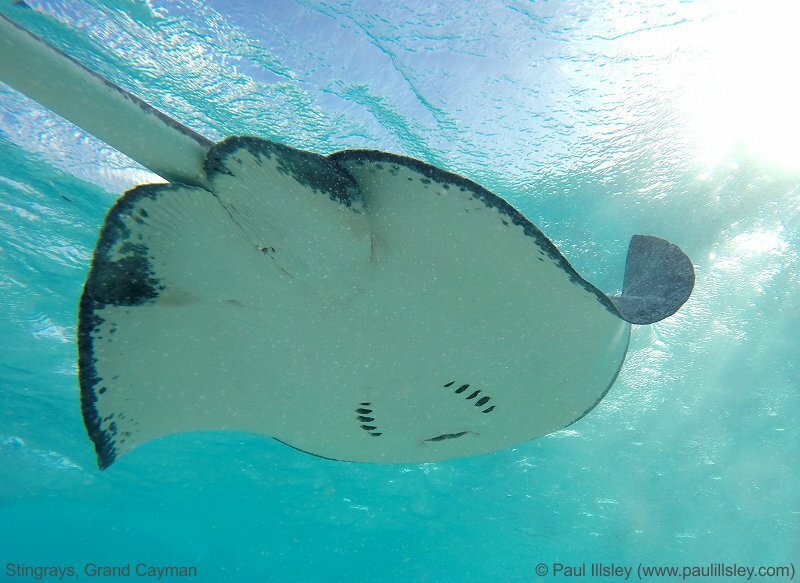 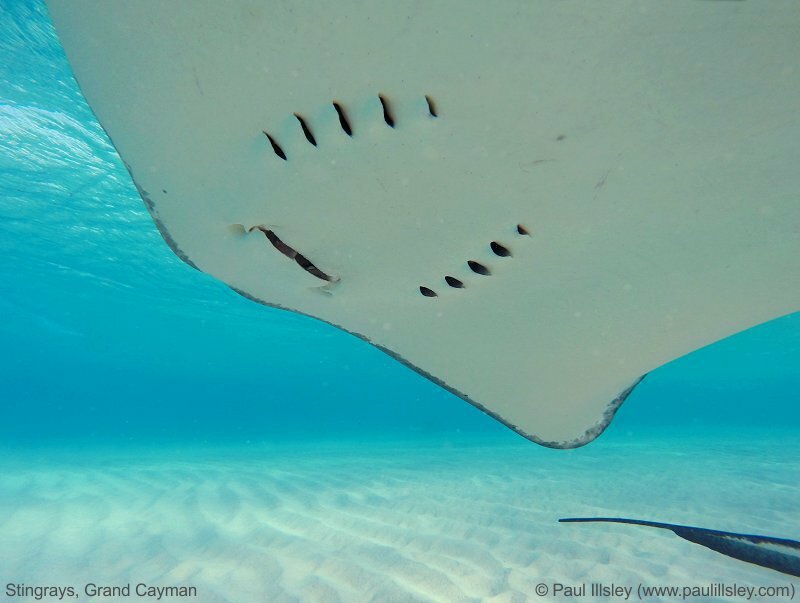 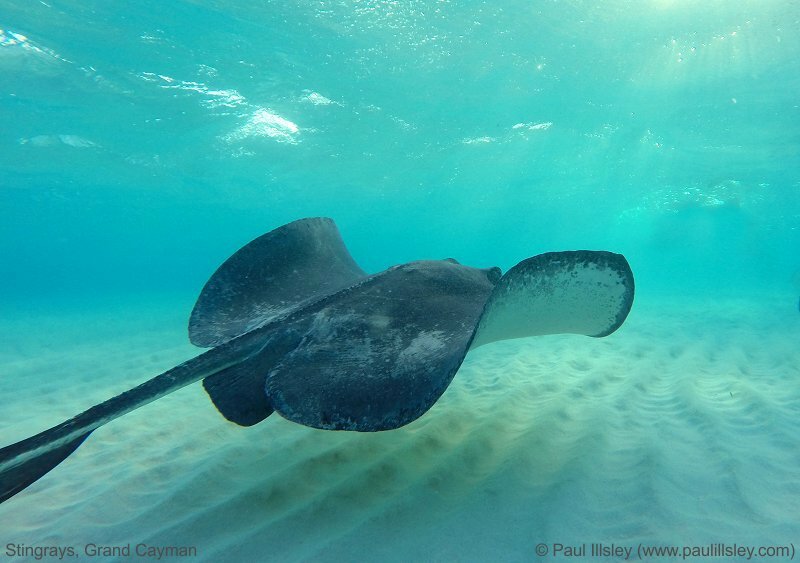 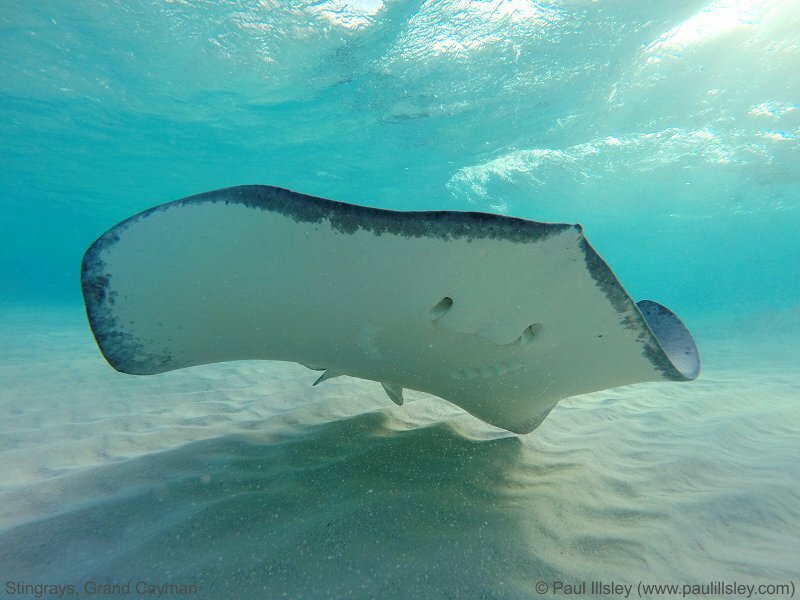 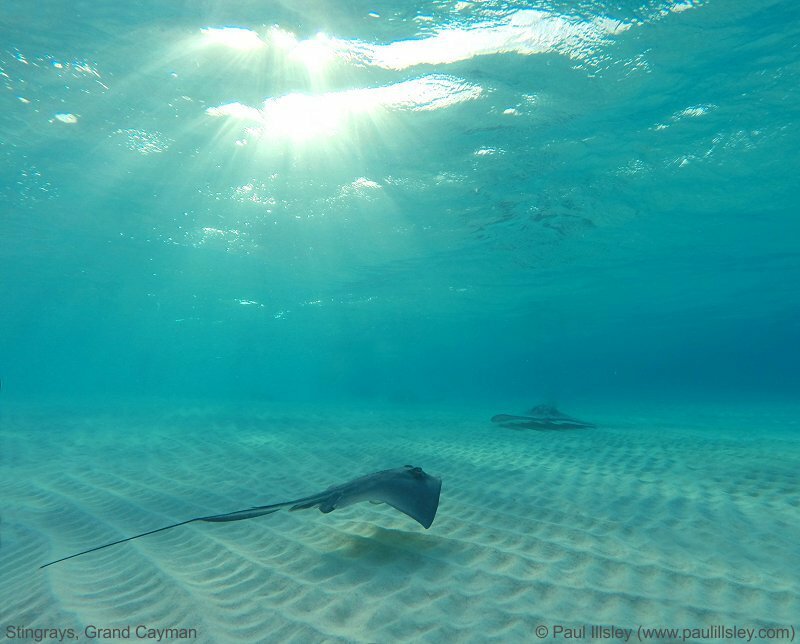 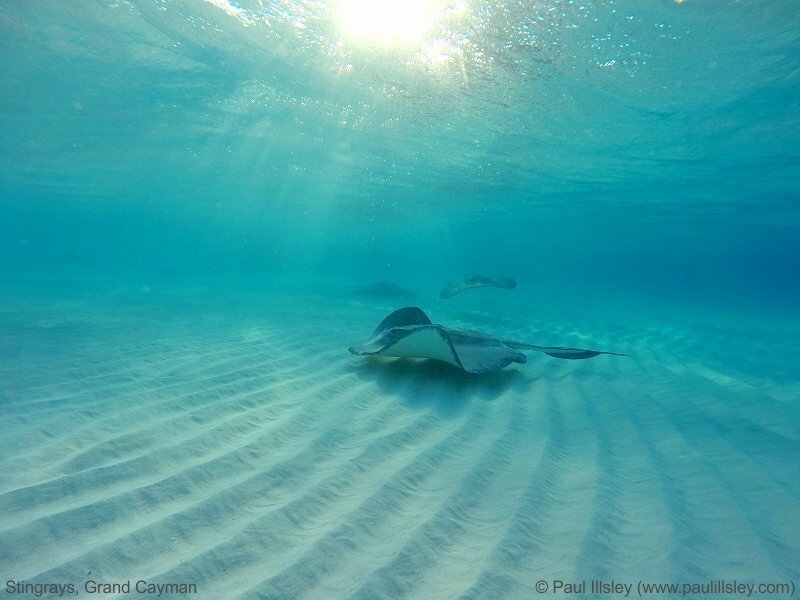 What type of stingrays visit Stingray City? 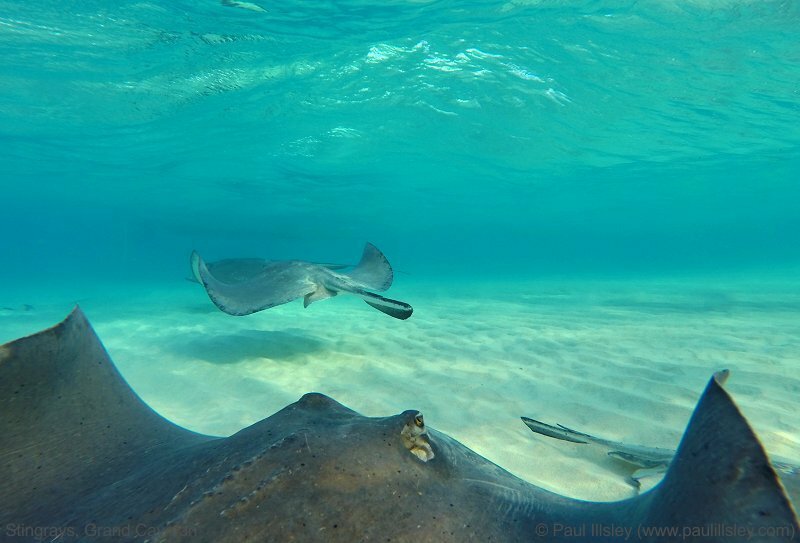 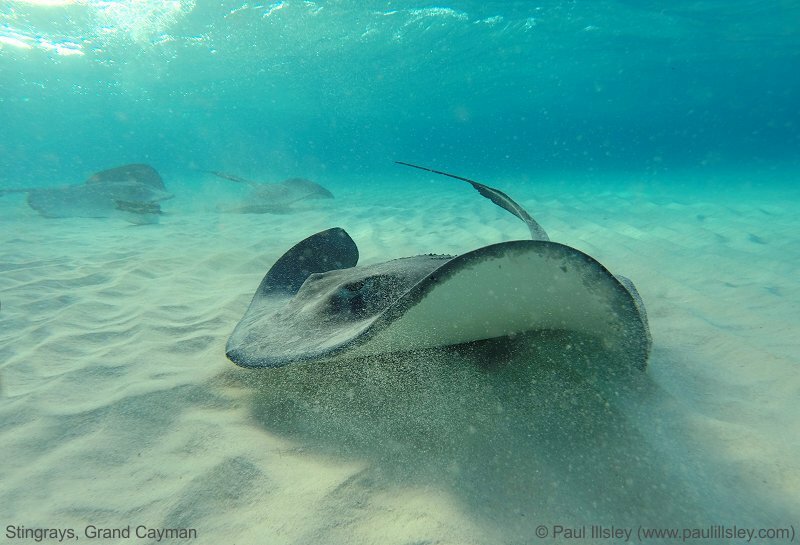 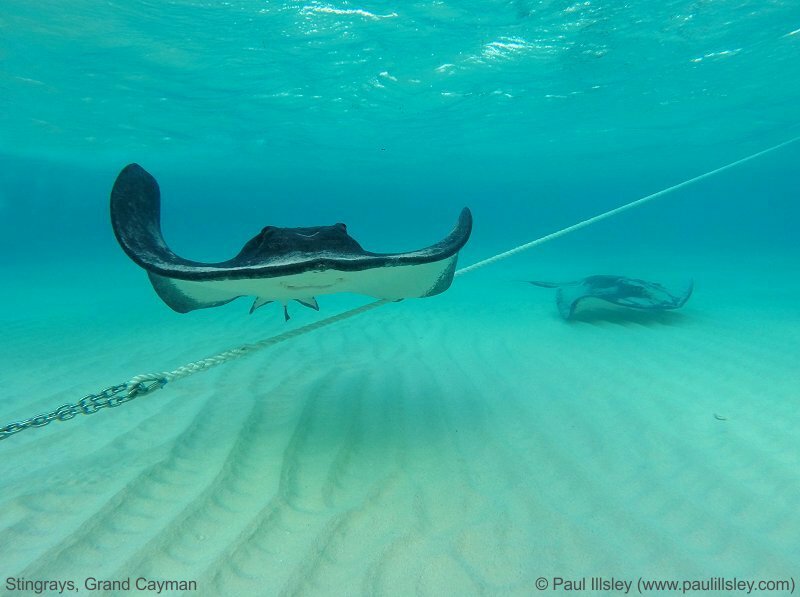 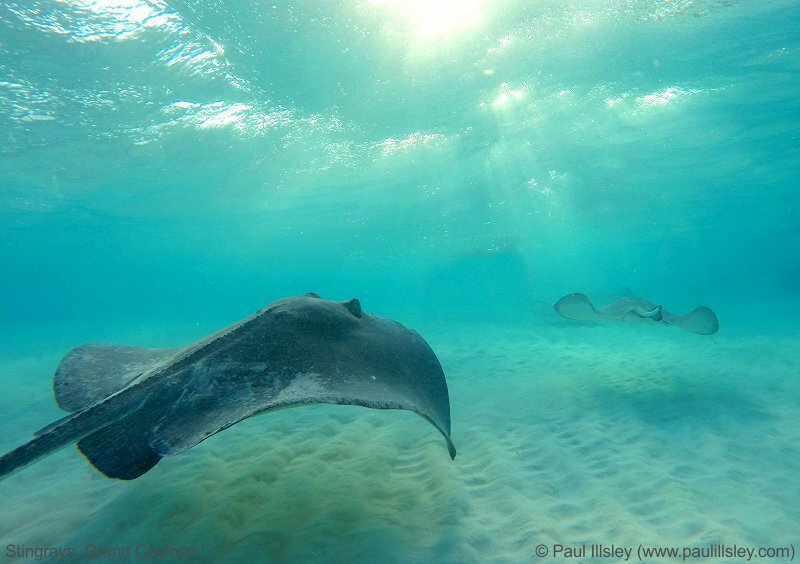 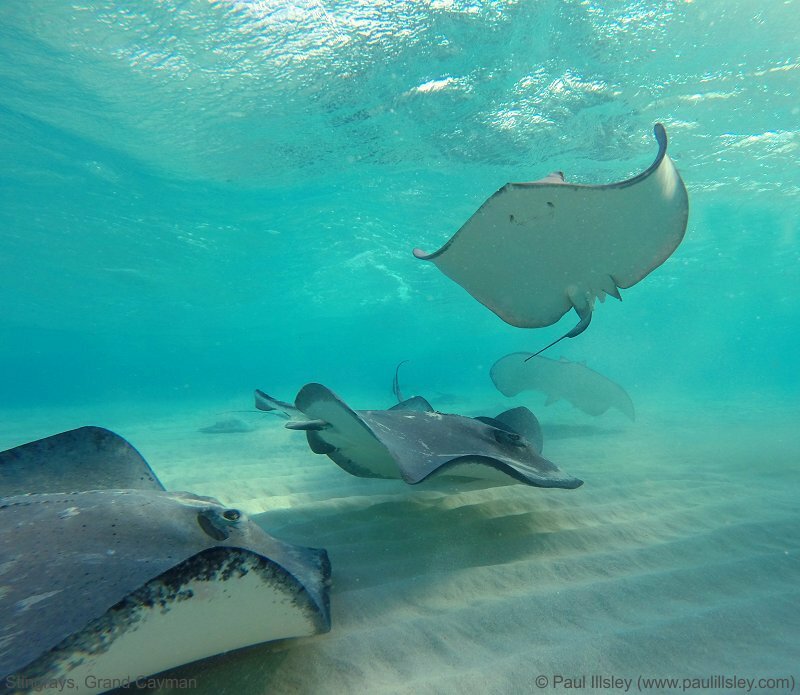 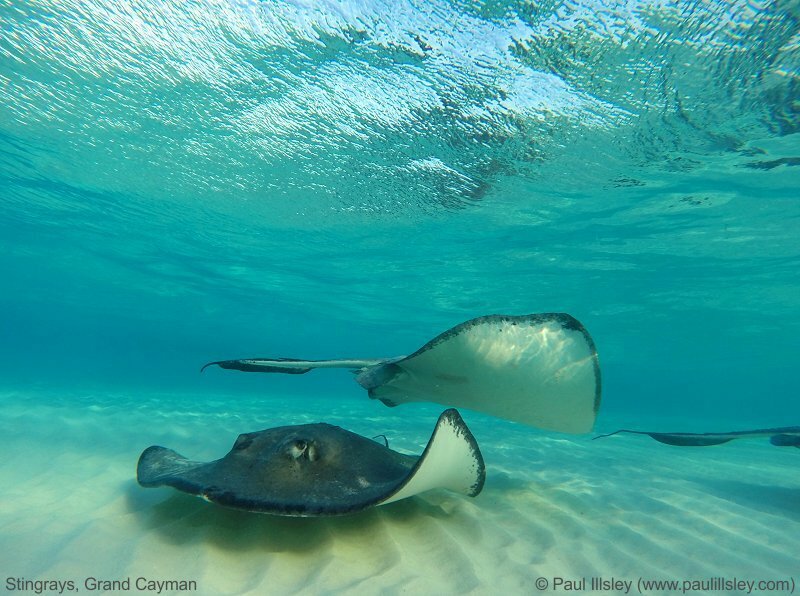 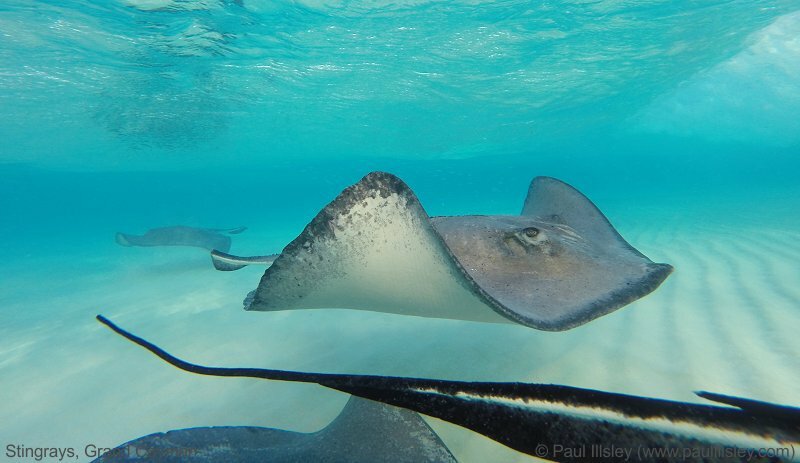 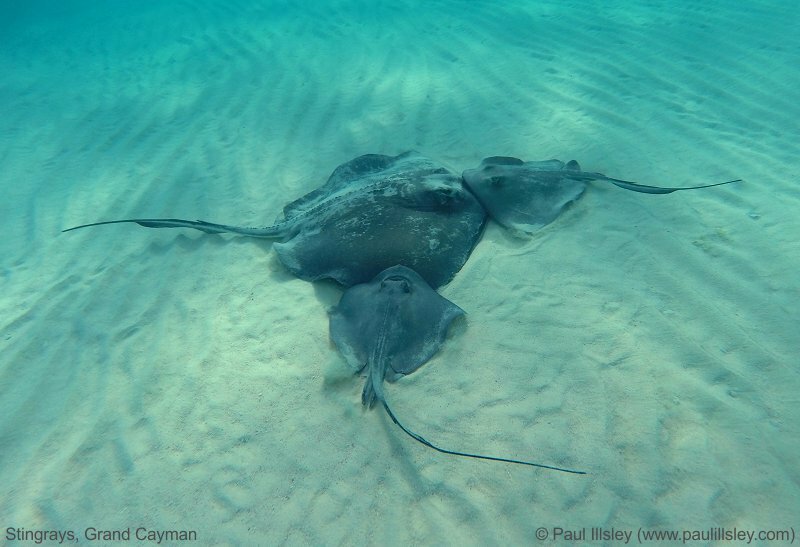 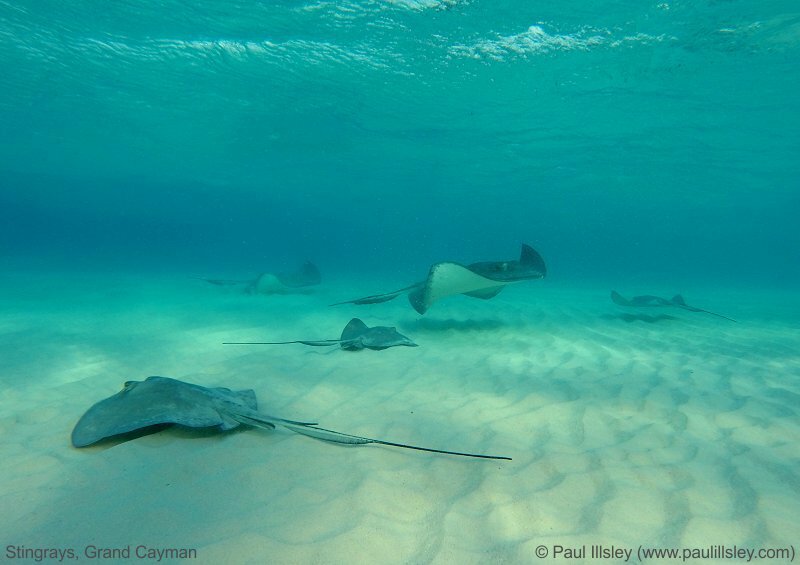 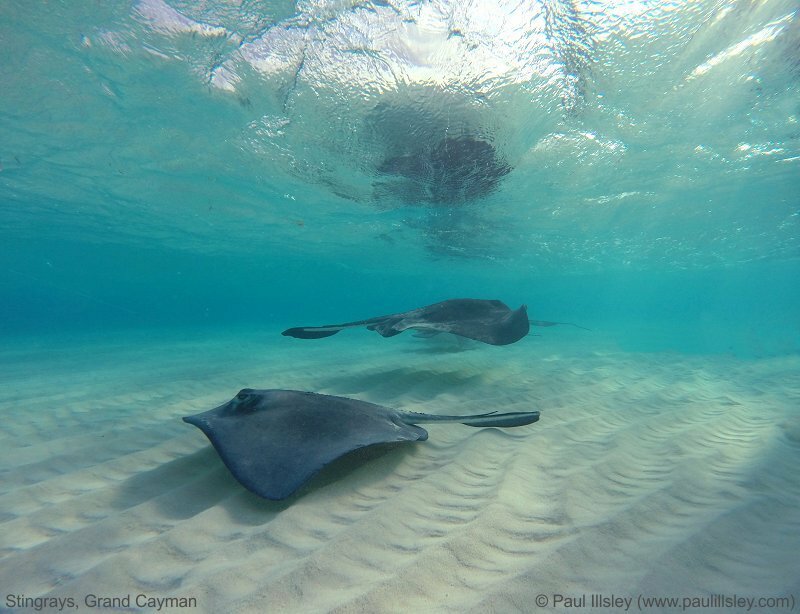 Why do the stingrays congregate at Stingray City? 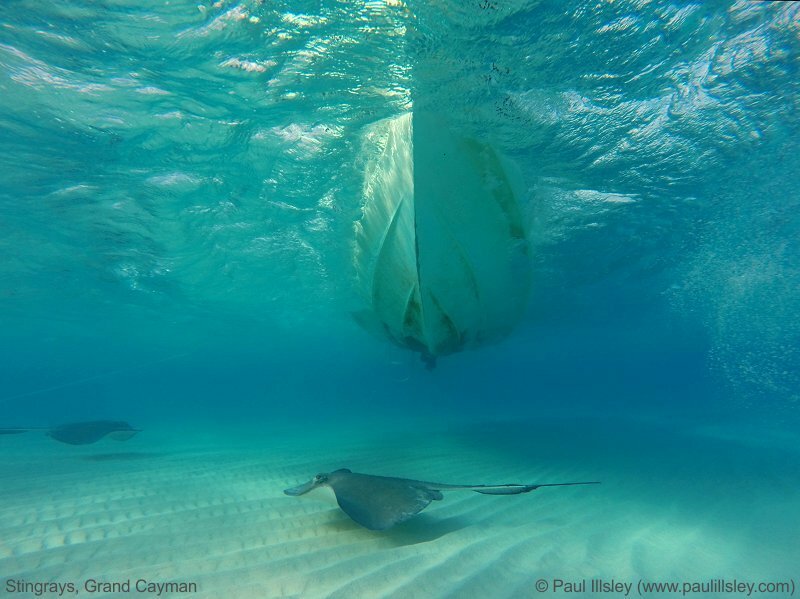 The area is a traditional cleaning site for returning fishermen with their days' catch so the rays know when they hear the boats' motors they have a chance to get some easy food. 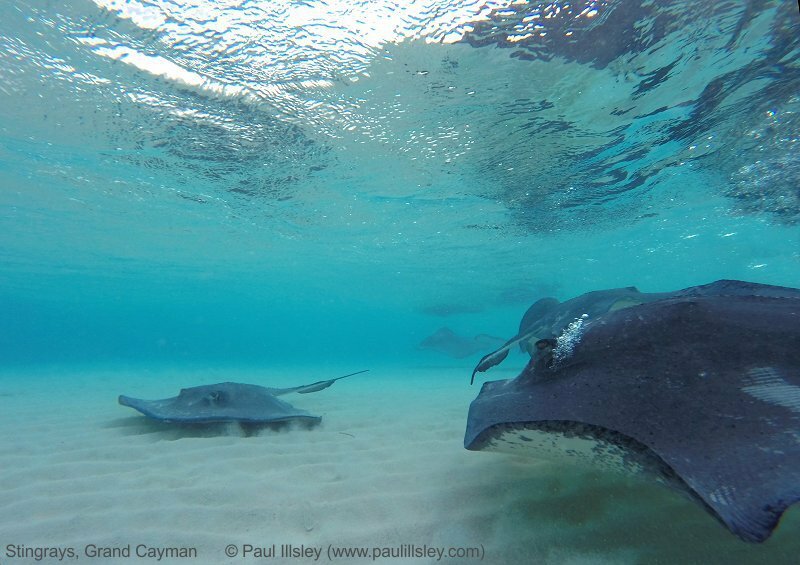 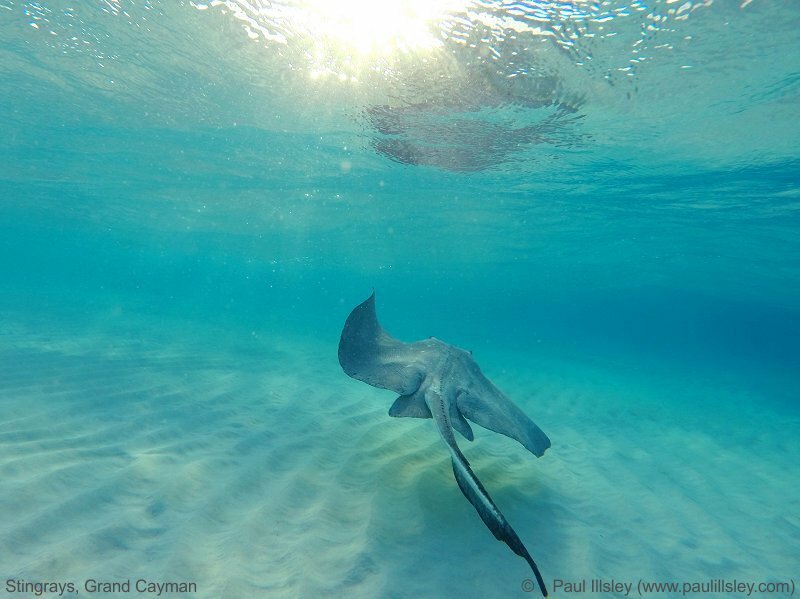 How deep is the water at Stingray City Sandbar? 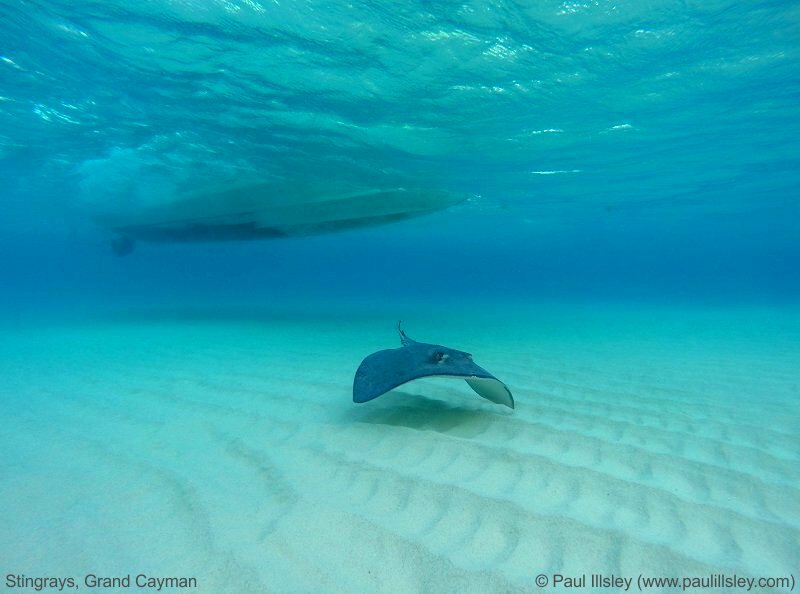 Stingray City is located on a shallow sand bar so the depth varies from 3 to 5 feet (deeper in surrounding areas). 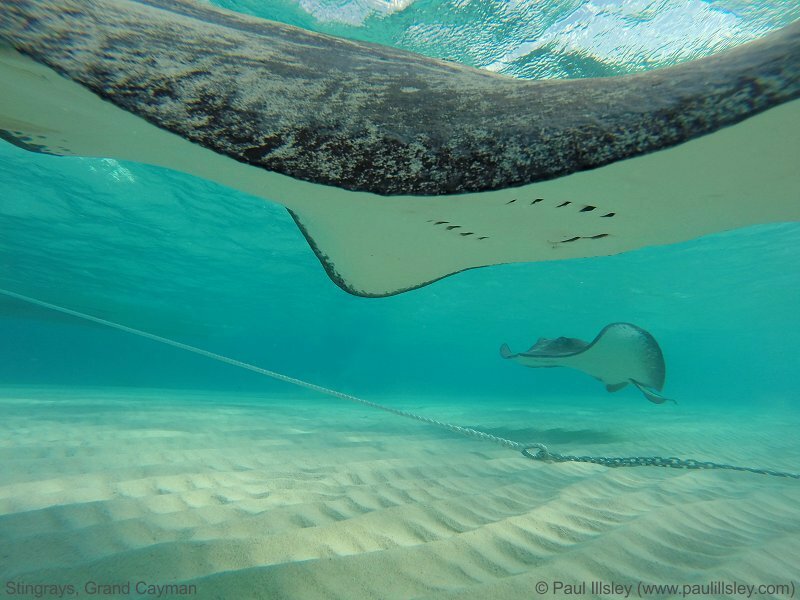 Stingrays only sting as a defence mechanism (with a barb on their tail) so there is very little chance of them stinging you at Stingray City. 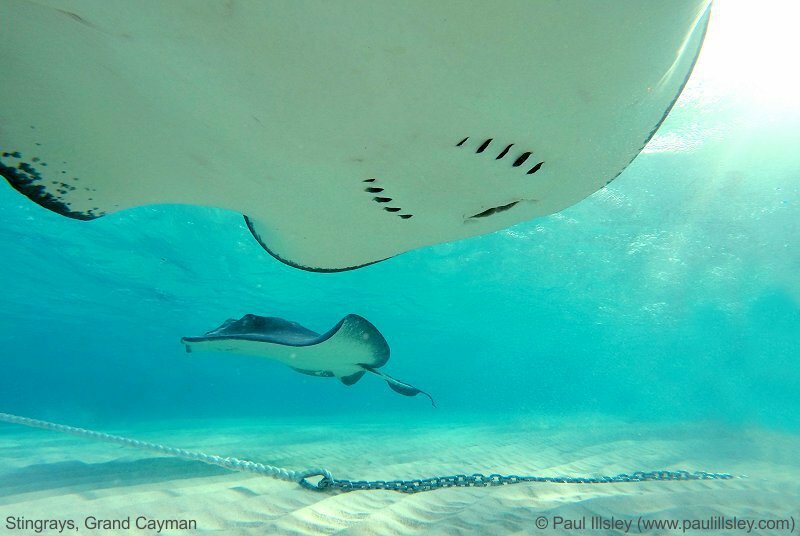 Technically no because they don’t have teeth (just rough cartilage to gnaw their food) but you can get scratched if you put your fingers in their mouth when they are feeding. 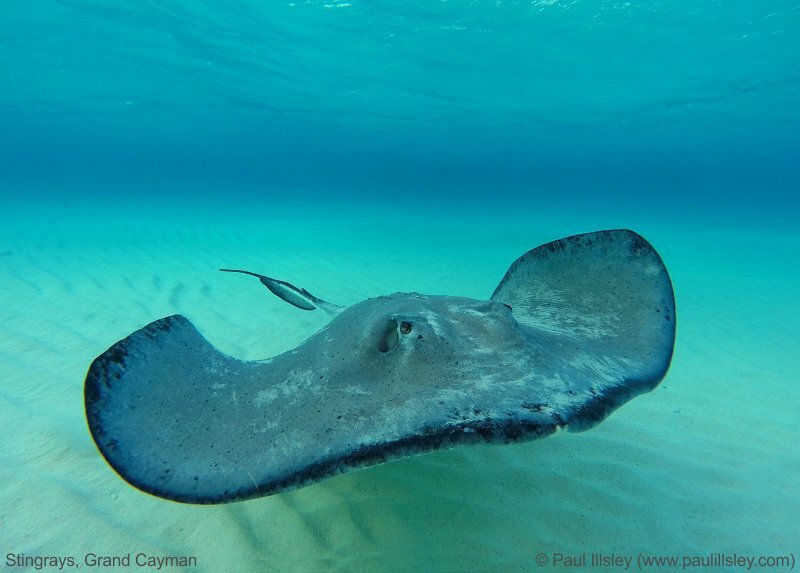 Female southern stingrays can grow up to 6 feet across and males up to 2.5 feet; you will see a good selection of sizes at Stingray City. 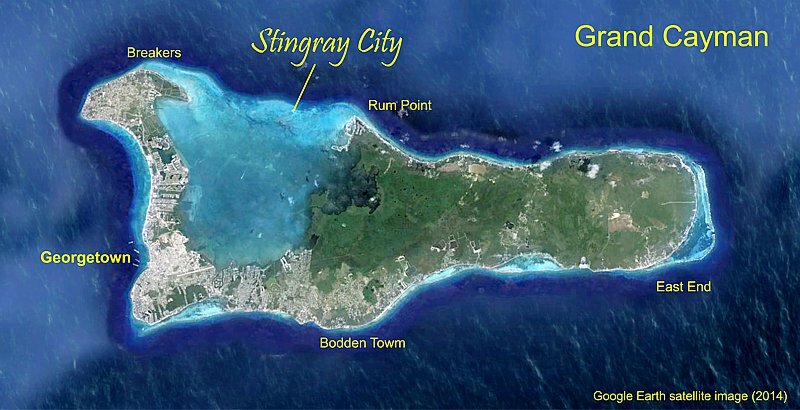 When is it best to visit Stingray City? 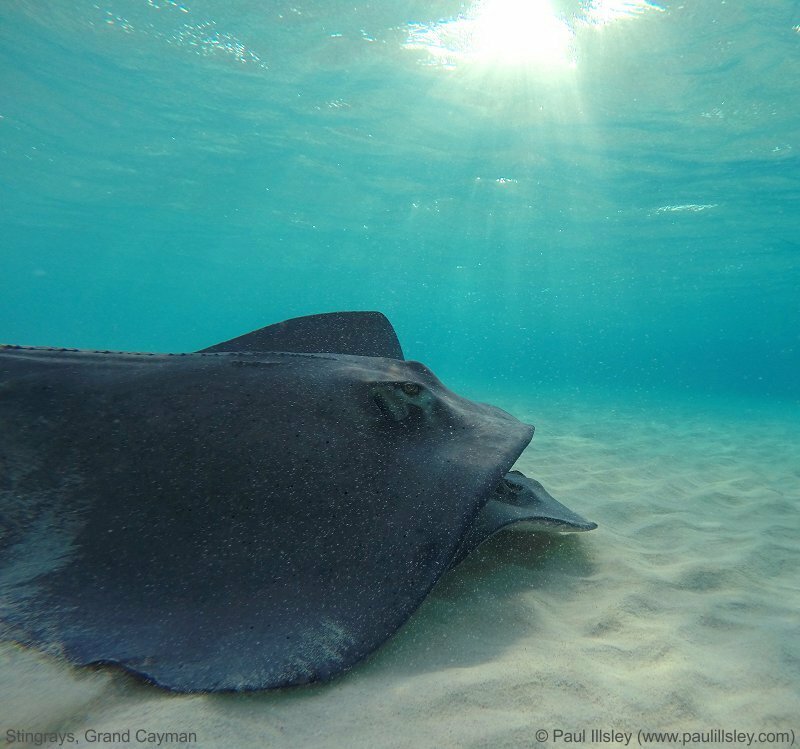 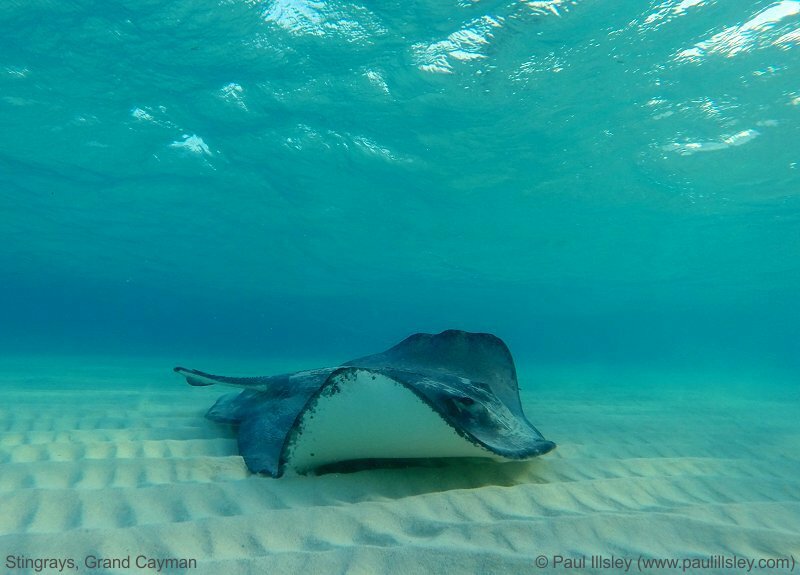 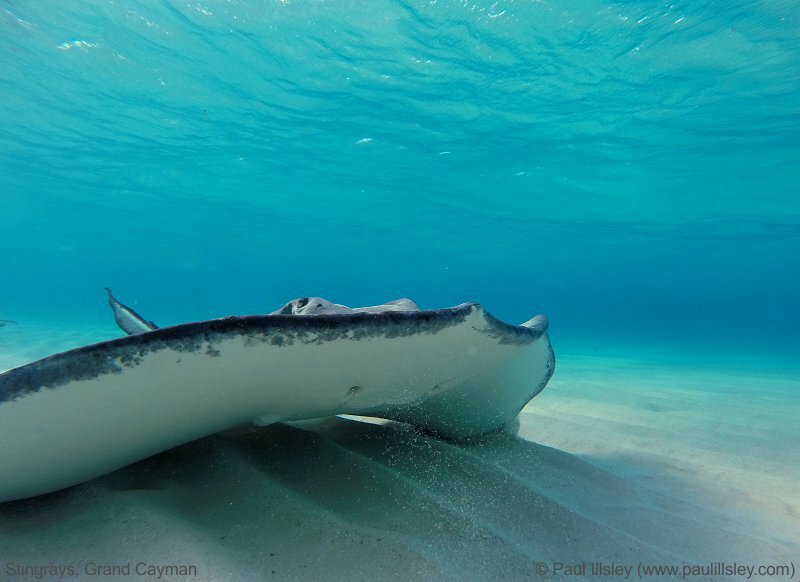 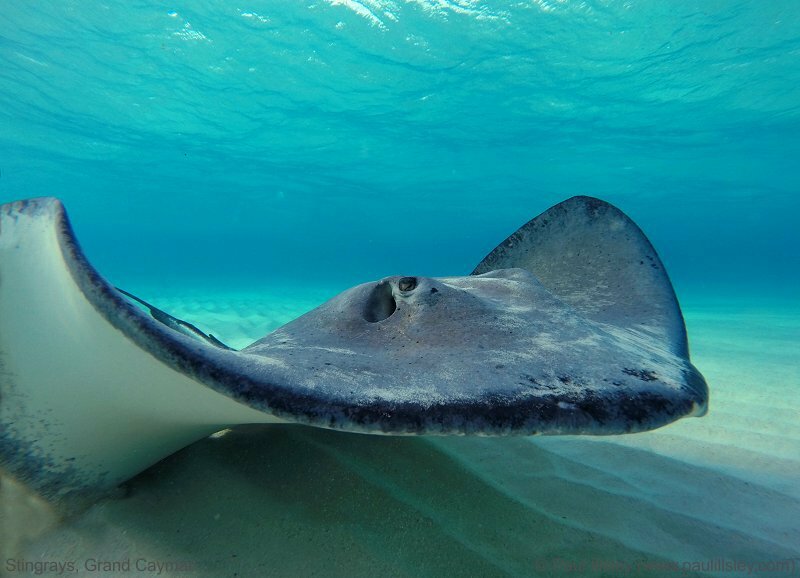 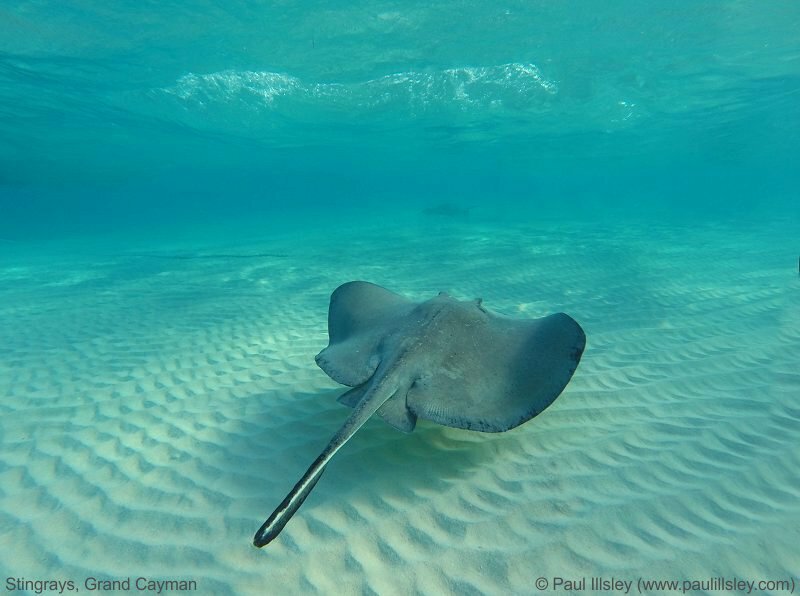 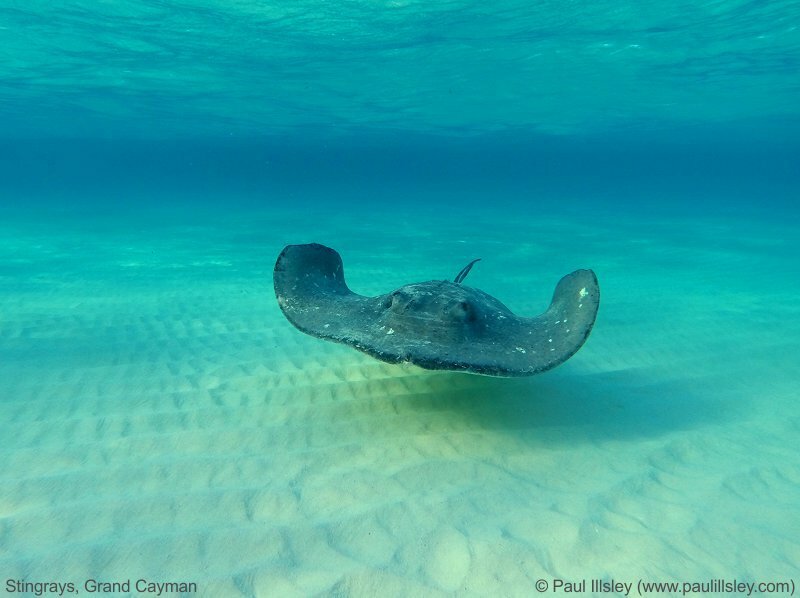 If you want to photograph the stingrays without large crowds you should plan on visiting early in the morning (some dive shops offer early morning visits with small numbers of divers). 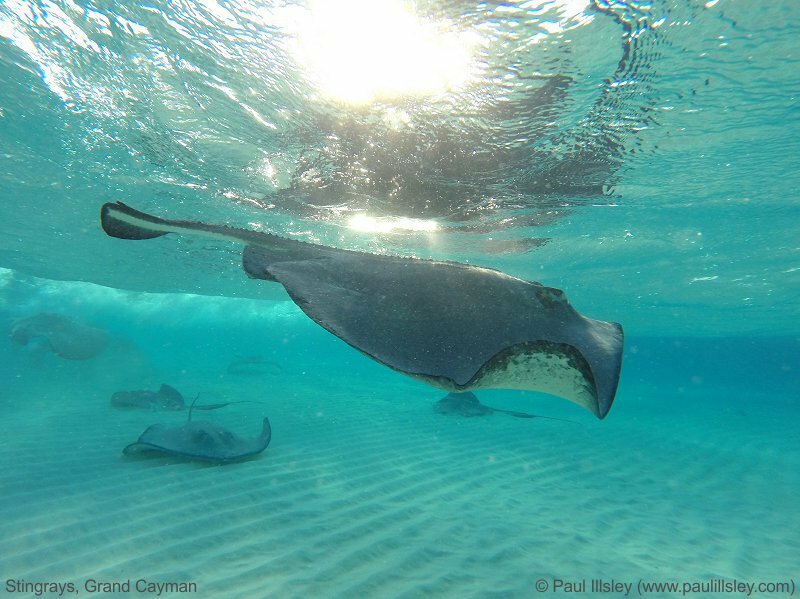 If you plan on visiting later in the day and a number of cruise ships are in port expect large crowds. 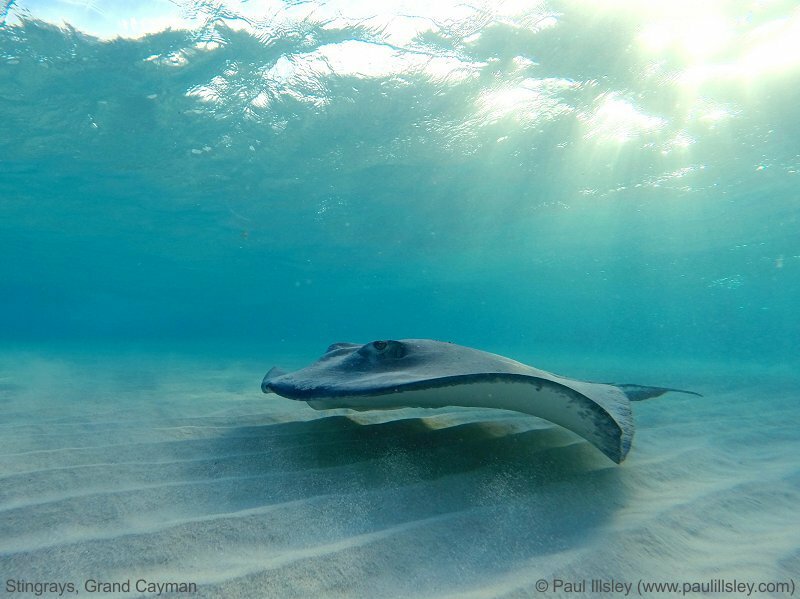 The images below were recorded during an early morning dive.